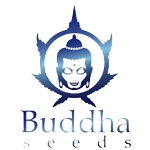 Buddha Seeds - Magnum Auto Feminised Seeds. Free US delivery. Magnum Auto is three-way hybrid, from the cross between the most powerful and productive varieties with rapid, vigorous growth and many branches, bursts into buds in the flowering stage. This great plant by Buddha Seeds is not recommended for indoors growing given its great size, they do recommend using in small containers or late transplants, helping to control its height. This plant reaches its peak outdoors.